100% green electricity: To use green electricity in our production process is important for the environment. Because we are part of the environment, it is important for us as well. 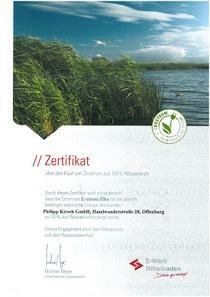 Therefore, January 27th 2011, we signed a contract about the supply of 100% green energy gained from hydro-electric power.